My grandma used to make these cookies, and I’m pretty sure she was somehow unable to cook or bake anything that didn’t taste amazing! 1. Preheat the oven to 375°F. In a large mixing bowl, beat the persimmon pulp, soda, sugar, and butter until creamy. 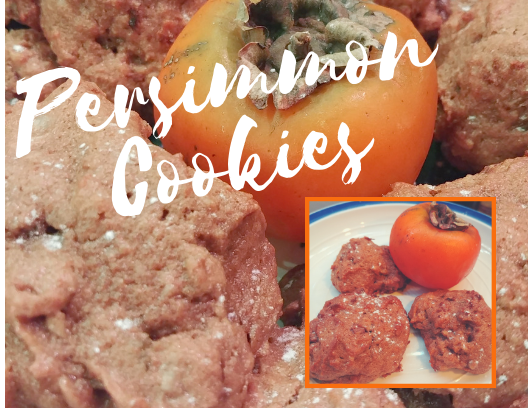 Beat the egg separately, then fold it into the persimmon mixture, along with the flour, cloves, cinnamon, nutmeg, salt, walnuts, and raisins. 2. Drop the dough by spoonfuls on a greased baking sheet and bake for 12 to 15 minutes.